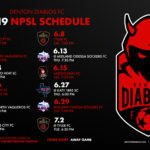 The Denton Diablos, Denton’s newest professionally run Semi-Pro soccer team is having their first tryout, open to all comers, for their 2019 player pool, one month from today, on November 11th at Denton High School at 2:00pm. 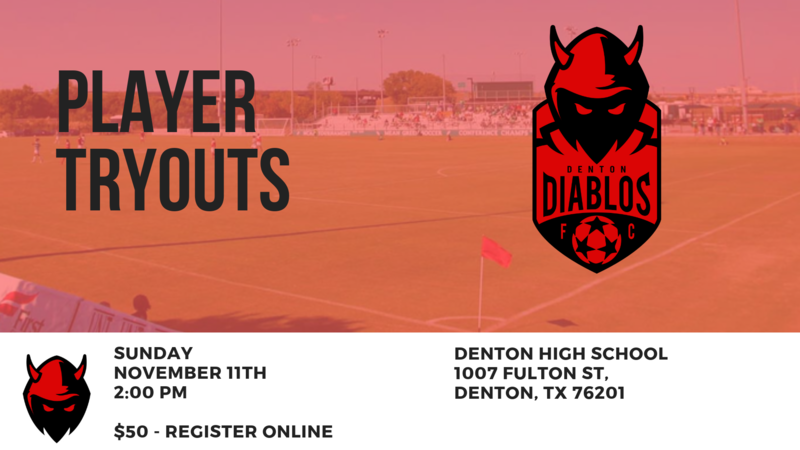 Tryouts will be limited to 50 total players (45 field players – 5 Goalkeepers) and will run approximately two hours in length. 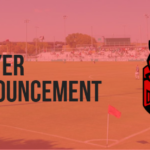 Registration will cost $50 per player and a limited number of tickets are available now on our site.